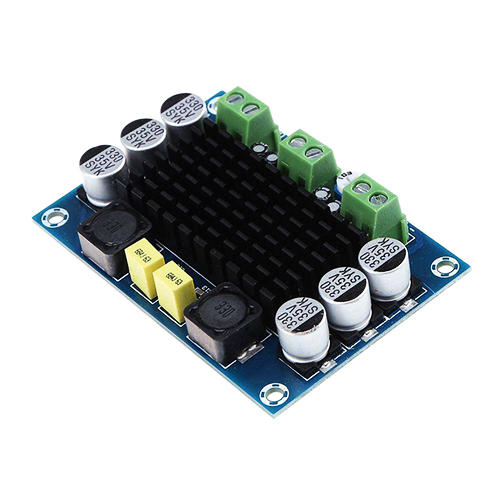 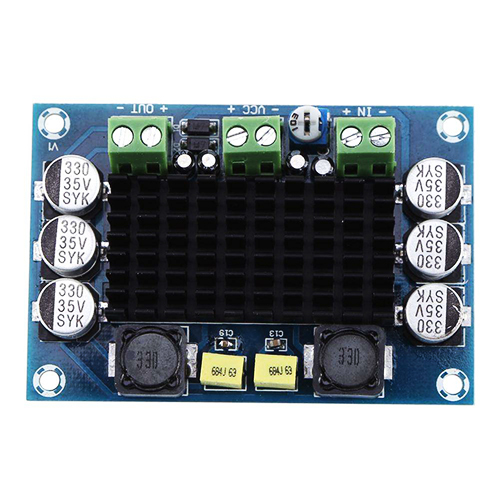 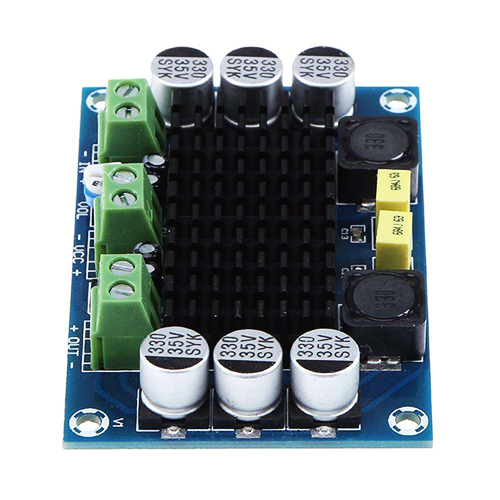 This XH- M542 is a 100W high power audio amplifier single channel board which uses the TPA3116D2 single channel mini stereo digital amplifier module. 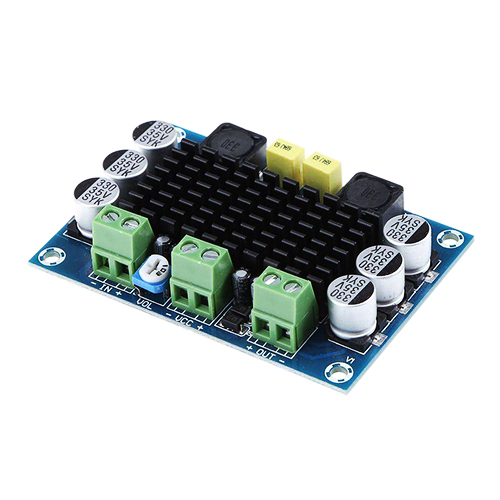 The TPA3116D2 has a class D operation efficiency, both greater than 90% power efficiency and low idle loss characteristics, advanced modulation system configuration, multiple switching frequency, as well as AM interference block. 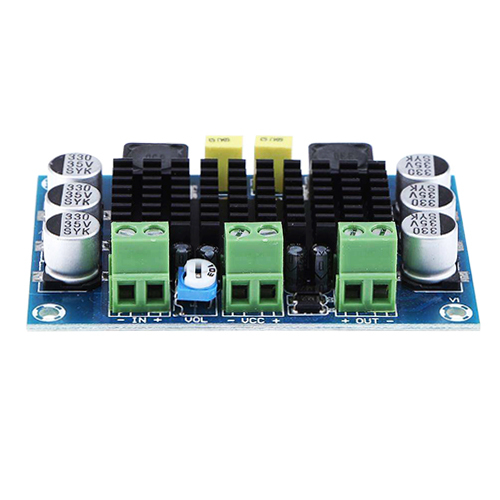 The module provides a comprehensive protection for short circuit, overvoltage, overheating, undervoltage, DC and other failures. . 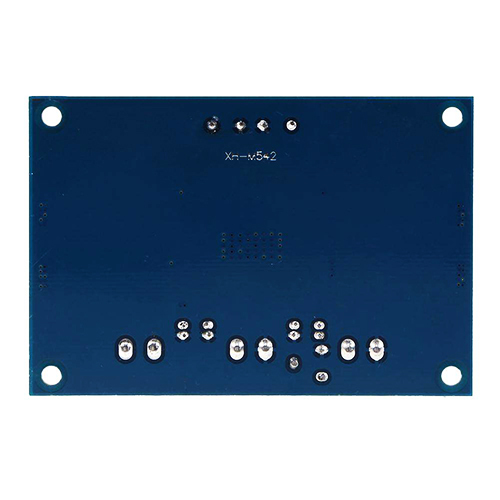 In the event of an overload, the device warns the processor of the fault condition, thereby preventing itself from being damaged. 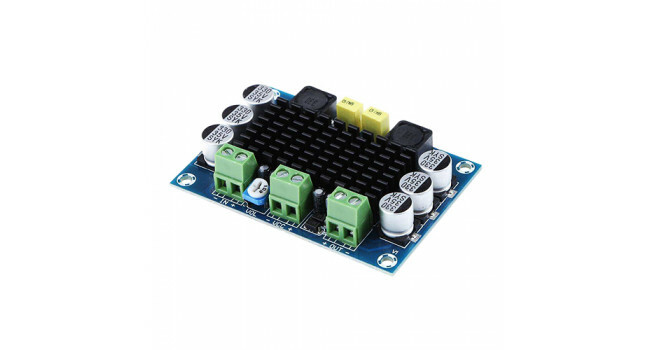 This module is great for any small audio project that needs a little more power.